The Girl Who Danced with Death is an original French graphic novel sequel to Stieg Larsson’s Milennium trilogy starring crusading journalist Mikael Blomkvist and superhacker-feminist vigilante Lisbeth Salander. 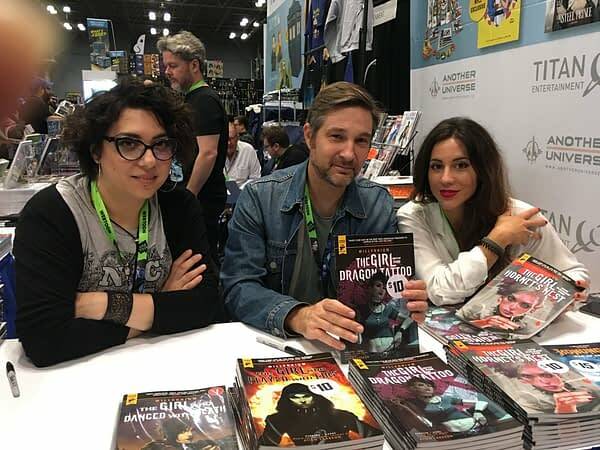 Titan Books, who also published the English translation of the French graphic novels adaptations of the original trilogy, brought the creative team over to New York Comic Con. I spoke briefly writer Sylvain Runberg and artists Belen Ortega and Claudia Ianniciello to talk about The Girl Who Danced with Death. The story is Runberg’s own creation, separate from novelist David Lagercrantz’ official sequels The Girl in the Spider’s Web and The Girl Who Takes an Eye for an Eye. There have been few reviews and write-ups on it in the English language press, but having read it, I could argue that Runberg, Belen and Ianniciello’s graphic novel is a truer and better sequel to Larsson’s original trilogy than Lagercrantz’ novels. Runberg’s original plot pits Lisbeth Salander against the Spartans, an extreme right-wing group who are kidnapping her hacker friends to commit break into a major database, while Mikael Blomkvist and his magazine Millennium investigate the background of a populist right-wing candidate preaching racist and anti-immigrant rhetoric to prove his neo-Nazi background. The various strands come together and Blomkvist and Salander have to team up to bring down both a fascist candidate and a racist hate group. According to Runberg, he was originally offered the opportunity to adapt Lagercrantz’ new Millennium novel The Girl in the Spider’s Web but was only shown the beginning of the book at the time. This led to Dupuis, the publishers of the graphic novels, and the rights holders of the books asking him what original idea he might have if he were to write his own sequel. They were impressed enough with his pitch that they greenlit The Girl Who Danced with Death. Runberg and Ortega’s graphic novel actually stays closer to Stieg Larsson’s political themes that fueled the original trilogy: the pervasive misogyny of European society and the creeping rise of the far-right. Even though he wrote the story back in 2015, the story feels as if it was happening right now. Runberg said he based the far-right candidate on Steve Bannon, never expecting Bannon would end up becoming a senior member of Donald Trump’s cabinet when the latter became President. Blomkvist and Salander’s adversaries in the story are totally identifiable as the types of men we now recognise as the alt-right. Runberg said he wanted to write a story that was as much a warning as Larsson’s books were about the dangers of right-wing groups, and the graphic novel feels closer to the anti-fascist themes of the novels than the new novels do. 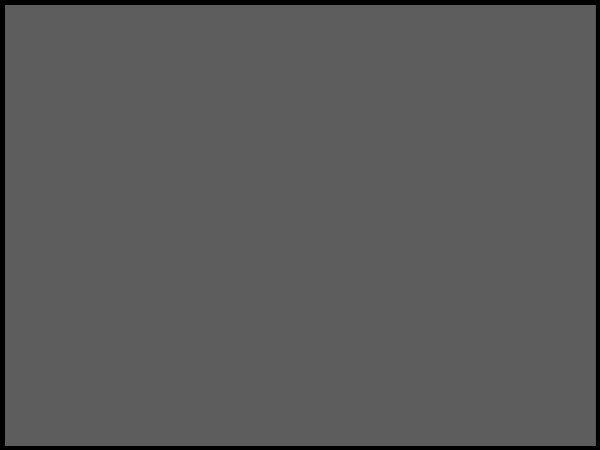 As a screenwriter and graphic novelist, Runberg and Ortega also fashion a story that moves more like a graphic novel, employing more visual storytelling dynamics than a novel’s reliance on exposition and extended dialogue scenes. Belen Ortega’s artwork also oozes with personality and atmosphere, capturing Lisbeth Salander’s almost feral hostility and rage and Mikael Blomkvist’s hesitance and earnestness to a T. This is a crime graphic novel by a team of European experts in the form.